This 23-year-old artist is one of the most outstanding pianists around. He has performed with leading orchestras in the world’s most prestigious concert halls, working regularly with such conductors as Claudio Abbado, Antonio Pappano, Yannick Nézet- -Séguin, Daniel Harding and Pinchas Zukerman. Recent highlights have included debuts at the BBC Proms in the Royal Albert Hall (with Antonio Pappano) and Carnegie Hall in New York (with the Philadelphia Orchestra), performances with the New York Philharmonic, Sächsische Staatskapelle Dresden, Cleveland Orchestra and San Francisco Symphony Orchestra, as well as a debut with the Münchner Philharmoniker and Valery Gergiev. In 2013, he was the youngest ever recipient of Gramophone magazine’s ‘Artist of the Year’ award, and he also won the Leonard Bernstein Prize at the festival in Schleswig-Holstein. Thanks in part to the Fryderyk Chopin Institute’s release of his recordings of the Chopin concertos, made at the age of thirteen and fourteen, Lisiecki signed an exclusive contract with Deutsche Grammophon, for which he has recorded concertos by Mozart, etudes by Chopin and works for piano and orchestra by Schumann. Polish Radio 2’s ‘Record Tribunal’, comprising Karol Radziwonowicz, Andrzej Sułek and Wojciech Michniewski, judged his Schumann recordings more highly than recordings made by Martha Argerich, Svyatoslav Richter, Maria João Pires, Krystian Zimerman and Alexander Melnikov. Lisiecki’s fourth album with the NDR Elbphilharmonie Orchester and Krzysztof Urbański (Deutsche Grammophon), featuring works by Chopin for piano and orchestra, won the ECHO Klassik award. 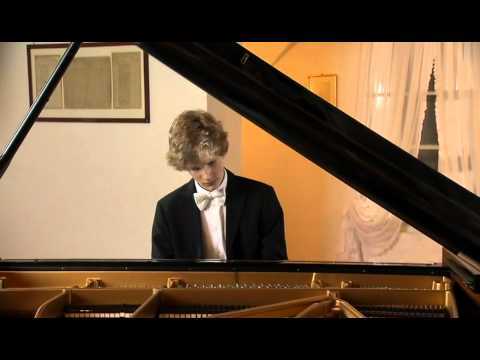 Jan Lisiecki is a regular guest of ‘Chopin and his Europe’.